At the 2015 BICSI Winter Conference, Fluke Networks unveiled a powerful new edition of LinkWare Live, its cloud-based cable certification project management service. Based on LinkWare Live Essentials, which the company launched at the 2014 BICSI Fall Conference, the new LinkWare Live Professional further streamlines workflow for project managers and field technicians, providing cabling certification project status via any smart, mobile device. LinkWare Live Professional supports browser-based, remote tester configuration and real-time reconciliation between the project manager's test setup and the field technician's uploaded results. With LinkWare Live Professional, project managers gain more visibility and control on the job site, ensuring their cabling installation projects will be finished on time, leading to more satisfied customers and faster payments. "With the launch of LinkWare Live Essentials last year, we helped our Versiv customers save time and money by dramatically simplifying test results management, eliminating problems associated with improper test setups and lost test results," said Jason Wilbur, vice president and general manager of the datacom installation business unit at Fluke Networks . "Now less than six months later, we are introducing LinkWare Live Professional, which allows project managers, engineers and consultants to properly configure copper and fibre cabling certification projects in the cloud, deploy these configurations to testers in the field at the push of a button, and monitor the actual progress on-site in near real time as technicians sync their test results. With LinkWare Live Professional, they can support their cable installation teams all over the world from anywhere in the world." 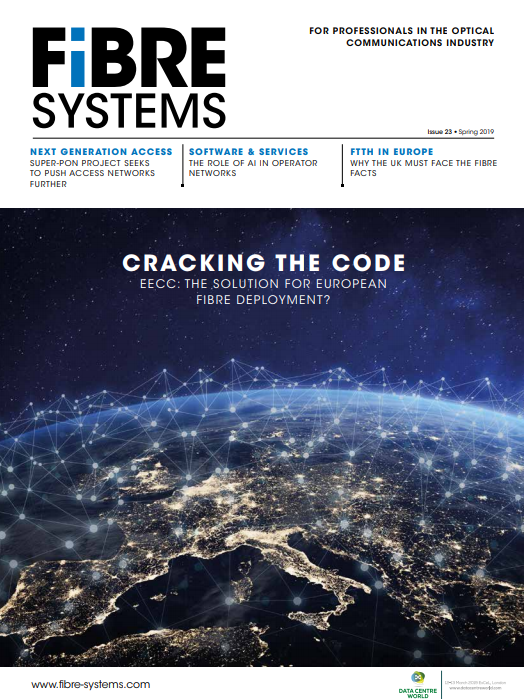 Fluke Networks says it pioneered the direct tester-to-cloud connection with LinkWare Live Essentials, enabling contractors to upload copper and fibre certification test results straight from testers in the field, eliminating wasted time and cutting the risk of lost or corrupt test results. The service became an immediate success, with thousands of new users signed up since its launch. LinkWare Live Professional builds on those capabilities by offering two-way interaction among the always-mobile project manager and technicians with their test equipment. Project managers can now set up new jobs for multiple testers, assign cable IDs and configure test limits with just a few keystrokes, and push them to the cloud for access by testers anywhere in the world. Once the job is complete, field technicians upload the results directly from the tester to the LinkWare Live cloud service, which automatically assigns copper and fibre test results to the correct project. Project managers can easily verify that results comply with the setup configuration they deployed to their testers and technicians in the field and then more quickly generate LinkWare Reports to deliver to their customer. "Our previous method of cable certification was slow and required a lot of manual coordination with jobsites and customers," said Dustan Buckley, vice president at Extreme Packets, an infrastructure cabling supplier headquartered in Lubbock, Texas. "LinkWare Live Professional allows us to bypass many of these steps. Our project manager can now set up jobs in advance, go onsite to install the cables, certify them, upload the results and activate everything, all before lunch. We can use any smart device to determine what has and hasn't been completed." Both LinkWare Live Essentials and LinkWare Live Professional are now available as free services in multiple languages for owners of its Versiv test product family worldwide. LinkWare Live Professional will become a monthly subscription service after 2015. The service includes free cloud-based storage of up to 200,000 copper or 10,000 fibre results (links) or a combination of the two.